Low Profile Quadrant Shower Trays - From Only £80.99! In stock now from just £80.99 including VAT! Hurry while stocks last! The Arley Hydro 45 Low Profile Quadrant Shower Trays are high quality and manufactured to the very highest standards, but are available at an extremely competitive price. Such is the quality and reliability of these superb shower trays, they come with a 25 year guarantee as standard, providing you with unbeatable peace of mind. These are the perfect accompaniment to the range of stylish designer Shower Enclosures available from VIP Bathrooms, or as a replacement for an existing shower tray. A Modern Look Combined With Timeless Practicality. 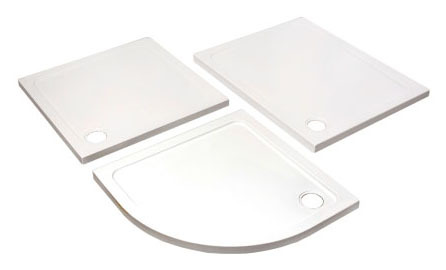 This is a deluxe minimalist contemporary style quadrant range of shower trays in white, ABS capped acrylic bonded resin. 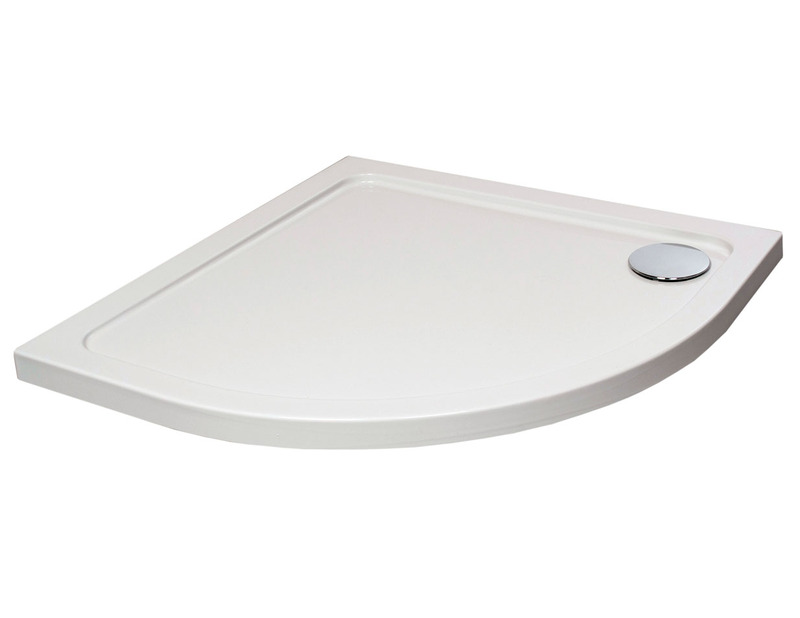 Available in many sizes therefore suitable for almost any bathroom or en suite, these trays offer a high level of flexibility. Trays are 45mm high and can be installed to the floor or with a rise kit up to 145mm high - these riser packs are sold separately. Please use the drop-down menu near the bottom of this page to specify the size of shower tray you require. In the unlikely event of the size you need being unavailable, please contact our dedicated sales team on 01942 885700, and we can happily source an alternative. Low Profile Shower Trays that are built to impress and made to last. Get the most use out of limited space with the VIP Bathrooms range of shower trays. These high quality, reliable trays can be fitted into tight corners or possibly as a complete bath replacement and a large walk in shower style. Each of the options below represents the latest trends for low level shower trays, and comes in a range of sizes that can be specified to meet your unique bathroom requirements. These are versatile, practical and well built low profile shower trays that are made to last and provide leak free shower enjoyment. With Riser & Leg Pack?